Camberwell Magpies legend Simon Hill became the 8th member of the Premier 1st XI 10,000 run club during his innings of 62 against Footscray last weekend. Week One of Round 12 action in the Men’s Premier 1sts saw the bat dominate in four of the nine games, while the remainder saw a more even battle between leather and willow. At Russell Lucas Oval, the hosts Ringwood were sent in by St Kilda and eventually scratched up 184 before being dismissed. Saints skipper Michael Beer (29.2/20/5/23) was easily the standout, while Joseph Loorham (48) was the only Ram to get past 25 with the bat. The Rams face an uphill task with Josh Manning and Ben Davies both having scored over 450 runs this season for the Saints and their bowling attack looking thin with skipper Ian Holland out injured. Saints favourites to get the points. 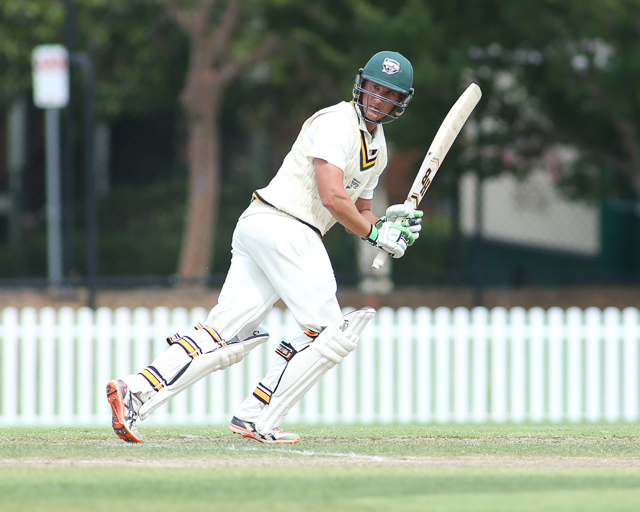 At the University Main Oval, the hosts batted first and have set the Swans a strong target after finishing with 332. Michael Clements (66), Alex Gregory (56) and James McNeil (52) all made strong starts while James Maxwell (4/59) bowled well on call-up from the 2nds for the Swans. The wicket of Luke Wells (630 runs @ 63) will be highly sought after by the Uni bowlers as Wells is the rock of the innings. If Uni get Wells cheap then they should come away with the points. If not, then it could be a long day in the field. At Walter Galt Reserve, Kingston Hawthorn will resume day two at 3/36 chasing 232 made by the Greenvale Kangaroos. Anthony Barton (48) and Kyle Adams (41*) led the starts for the Roos, while Jack Fowler (3/42) led the Hawks’ attack superbly. The Hawks’ batting has seen regular starts of 20s and 30s but struggles to push through for 50s and higher scores. If they are any chance to take the points in this game, one of the not out batsmen need to make at least 80 and have a couple of supporting knocks of 40+ from the rest of the team. Roos on target to claim another set of match points. At Bill Lawry Oval, Frankston Peninsula will resume at 2/34 chasing Northcote’s total of 195. For the Dragons, Joshua Sundberg (85) was the standout against Jackson Mockett (3/34) and Scott Boland (3/56), while Jonty Rushton (2/7) brought about two telling blows to the Heat just before the close. The Heat still have Tom Wood (351 @ 43.88) and Dale Elmi (344 @ 31.27) still to come in but will be keen to get a good partnership going as Northcote has struggled for wicket takers this season (George Garton leads with 11 @ 26.27). The Heat could sneak away with the points here. In the Grand Final rematch at Shepley Oval, Dandenong will resume at 4/102 needing just a further 58 runs for 1st innings points against Fitzroy Doncaster. The Lions eventually made 159 off the back of Trent Lawford (56*), with Akshat Buch (3/24) and Joshua Shaw (3/34) causing headaches for the batsmen. In reply, Sam Elliott (2/40) has been pushing hard, while the Panthers had starts from skipper Tom Donnell (28) and Lincoln Edwards (25). This game is just in Dandenong’s favour but will need them to get through the first hour without losing a wicket to secure the points, while the Lions need to start striking from the get-go. At Central Reserve North, Carlton will resume at 2/76 chasing the Monash Tigers’ score of 189. For the Tigers, Daniel Sartori (83) and Scott Edwards (30) were the only ones to resist Aaron Smillie (3/29), Thomas Smyth (3/39) and Cam Stevenson (3/43). In reply, Lachlan Fitzpatrick (2/23) landed some blows to the Blues’ armour dismissing Brayden Stepien (30) and Thomas Smyth (22) before the close of play to keep the Tigers in with a sniff. With Harrison Smyth (21*) and Nick Ross (1*) at the crease, the first session will be key in the result. If the Tigers can get at least 4 wickets in this time then they can pull one out of the fire, otherwise Carlton to start favourites. At Mervyn G Hughes Oval, the Camberwell Magpies have set the home side Footscray a target of 294 to chase on day two. Simon Hill led the Magpies charge, notching 62 and passing the 10,000 Premier 1st XI run milestone in the process, while Andrew Fekete (52) rubbed the salt into the wound in the last few overs with a cameo knock. For the Dogs, Jack Sheppard (4/54) and Lucas Dredge (3/45) stood out with the ball. The Dogs will be keen to pull something out of the hat to keep their season alive and have shown they have enough firepower to make big scores if they get some partnerships going. The Magpies’ bowling attack might be just too much for them this time around. At the Albert Ground, Essendon will be ruing the decision to send Melbourne in after they finished the day at 5/347. For the Demons, Blake Thomson (148) and Charles Lill (89) put on a 197-run opening stand to set the tone for the day, with Matthew Brown (45) and Meyrick Buchanan (39*) putting on the finishing touches. For the Bombers, Matt Doric (2/100) tried hard and took his 250th Premier 1st XI wicket in the process, while Andrew Warrick (2/58) provided some support. Will Melbourne decide they have enough runs and send the Bombers in or will they bat the additional 10 overs they have left? This game could either get a result or will finish in a draw pending on the decision made by Demons’ skipper Matthew Brown on the morning. Finally at the Geelong Cricket Ground, Geelong will resume day two at 1/35 chasing Prahran’s 290. The True Blues were led by a majestic innings of 165 by Will Sutherland, while Stephen Seymour (39) provided key support during the innings. For the Cats, Jake Reed led the way with 4/64 before Nicholas Browne (21*) guided the home side to the close after the loss of Mitchell Reid for 0 early in the chase. This game has all the markings for a quality run chase, while Prahran will be keen to get some early wickets to stall momentum and obtain an upset win. The way the Geelong Cricket Ground has played all season, the Cats will be favourites to chase the runs. In Women’s Premier 1sts, Round 9 saw a return of Meg Lanning to Box Hill after a hiatus of nearly 2 years between games, with the result being a mind-blowing innings that sits on top of the record books, Ringwood breaking through for their first One Day victory, Melbourne routing EMP and Prahran putting on a batting clinic against the reigning T20 Premiers. 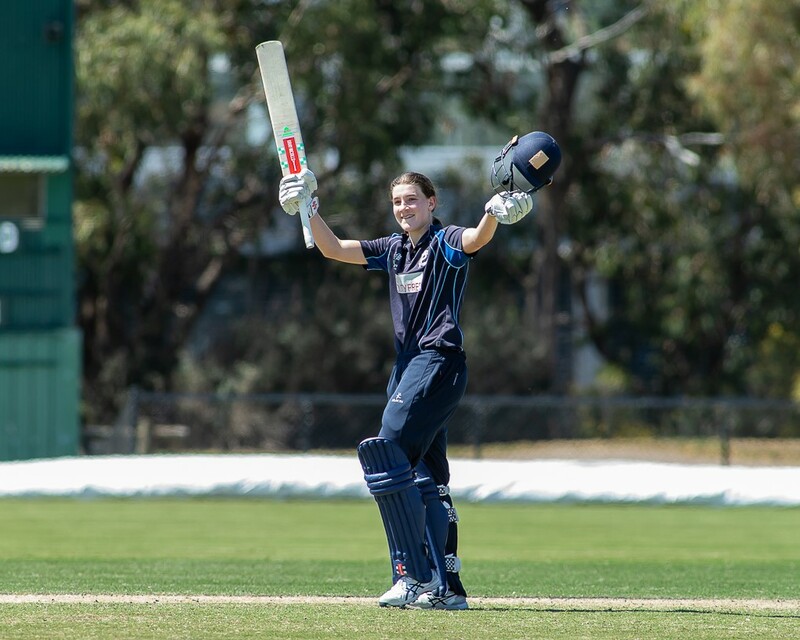 Prahran defeated the reigning T20 Premiers in Dandenong off the back of performances from skipper Emma Inglis (131), Annabel Sutherland (107) and Alana King (60* + 4/12). For the Panthers, Sophie Molineux (33 & 2/37) was the standout. Round 10 will see multiple sides impacted as the last round of the WNCL takes place across the weekend at the Junction Oval and Casey Fields. Ringwood (8th) take on Dandenong (4th) at Russell Lucas Oval. The Rams celebrated their maiden One Day win last round and will be keen to keep the 2019 momentum going. 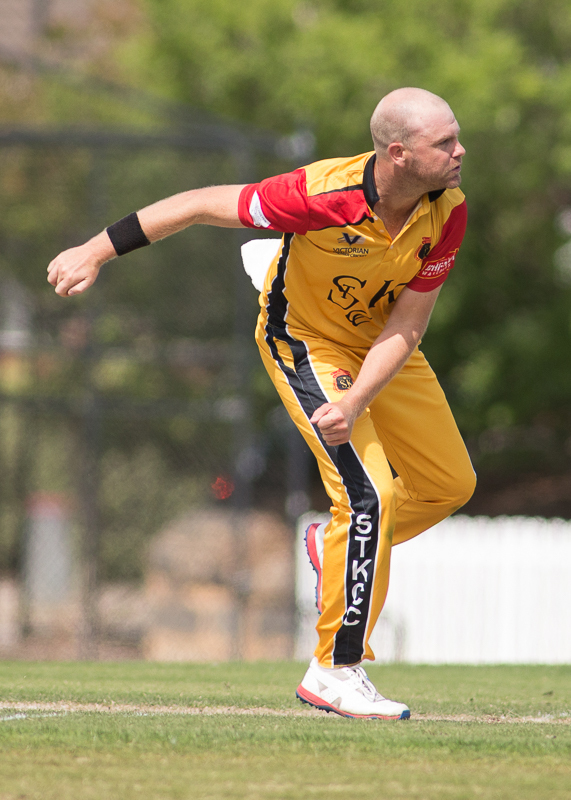 The Panthers were on the receiving end of a Prahran masterclass just days after taking out the T20 Title and will be hungry to rebound strongly. With the WNCL on, this match will be a lot closer than will be expected but the experience of the Dandenong side will see them start as favourites. Carlton-Brunswick (7th) take on Prahran (1st) at AG Gillon Oval. The Strikers were the victims of Ringwood’s drought-breaking win last weekend and will be keen to rebound hard. Prahran will be keen to seal the top spot as soon as possible but may find it a harder task with the WNCL on this weekend depleting them of several of their walk-up starters. Carlton-Brunswick will have to go into this match with a genuine chance against a WNCL-weakened Prahran line-up. Essendon Maribyrnong Park (5th) take on Box Hill (3rd) at JT Gray Reserve. The Bombers will be keen to rebound after a couple of batting collapses, while the Mustangs will be carrying over some confidence after seeing Meg Lanning return to their line-up last weekend for a rare appearance. With both sides expected to be missing players due to WNCL duties, the Mustangs will be on the lighter end of this unavailability column and will go in as favourites. Finally, Plenty Valley (6th) take on Melbourne (2nd) at Yarrambat War Memorial Park. The Bats’ were on the receiving end of the ‘Meg Lanning Special’ at Box Hill last weekend and will be keen to return to the winners’ circle to keep any chance of Finals alive. The Demons provided a clinic against EMP last weekend at the Albert and will be keen to hold onto second spot with Box Hill hot on their tails. Expect the Demons to start as favourites in this battle on the road. Umpire Richard Patterson (1st XI Cap #353) will umpire his 200th Premier 1st XI match this weekend when he stands in the Plenty Valley vs Melbourne Women’s Premier 1st XI match at Yarrambat. Richard made his Premier 1st XI umpiring debut in season 1996/97 and has previously umpired at First Class level and stood as high as TV (3rd) Umpire for 1 Men’s Test and 4 Men’s ODI’s in the early 2000’s and stood as Umpire for 3 Women’s ODI matches (1 in 2002 and 2 in 2012). Umpire Ian Leach (1st XI Cap #525) will umpire his 150th Premier match this weekend. Simon Hill (Camberwell Magpies) joined the elite of Victorian Premier Cricket batsmen when he scored his 10,000th Premier 1st XI run during his innings of 62 against Footscray. Hill becomes the eighth batsmen in Victorian Premier Cricket history, joining Warren Ayres (15,277 runs), Gary Watts (12,933), John Scholes (12,693), Jack Ryder (12,677), Peter McAlister (11,893), Andrew Kent (11,032) and Darren Dempsey (10,154) in this exclusive club. 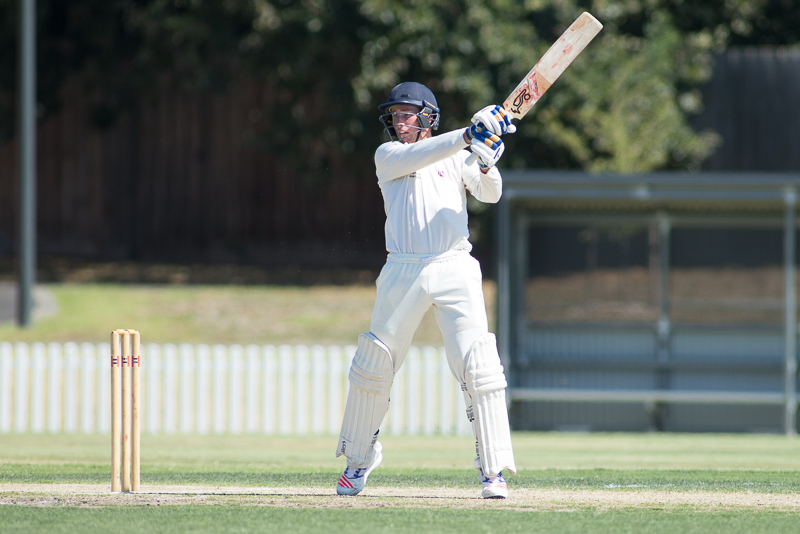 Thomas Smyth (Carlton) scored his 4,000th Premier 1st XI run during his innings of 22 against the Monash Tigers. Zaheer Hussain (Greenvale Kangaroos) scored his 1,500th Premier 1st XI run during his innings of 31 against Kingston Hawthorn. Shaun Miller (Prahran) scored his 1,500th Premier 1st XI run during his innings of 25 against Geelong in his 50th Premier 1st XI match. 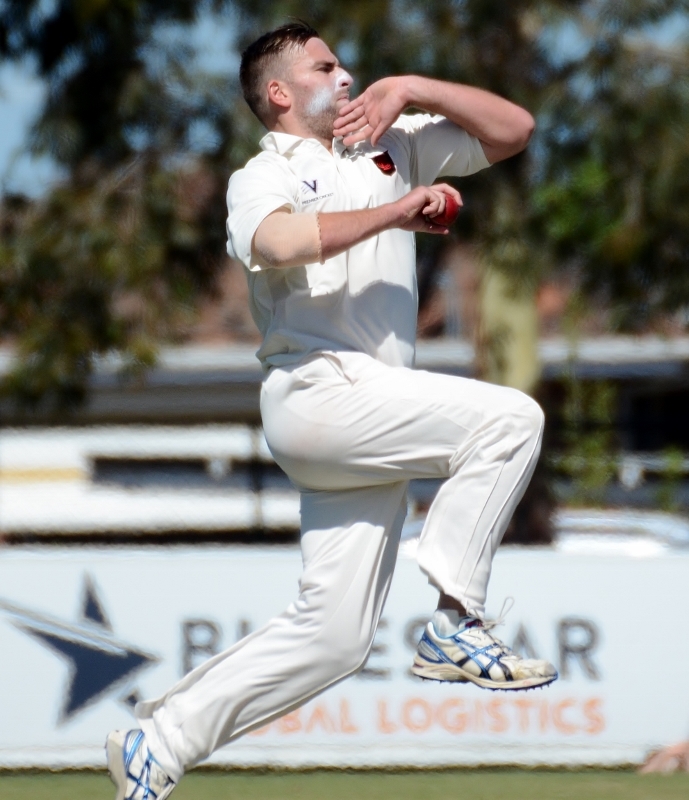 Matthew Doric (Essendon) took his 250th Premier 1st XI wicket when he had Melbourne’s Jack Harper bowled for 1.